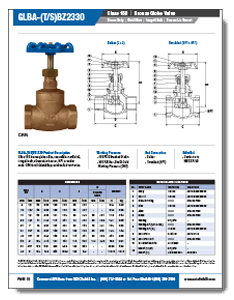 NCI Canada manufactures bronze globe valves which are well-constructed, cost-effective and perfect for commercial or industrial applications. 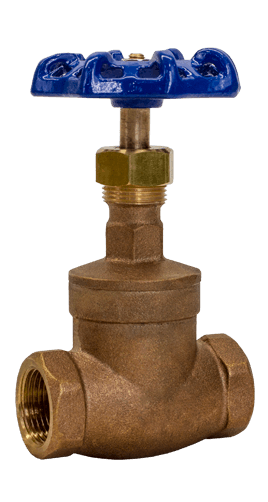 NCI Canada’s cast bronze valves are suitable for a full range of shutoff and control applications. 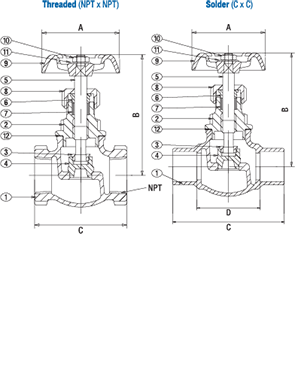 Class 150 bronze globe valve, renewable metal disc, integral seat, screwed-in bonnet, NPT or solder ends. CRN for all Canadian provinces and territories.